Knowledge is Power - UK. Last edited by knowledgeispower-uk on Tue Dec 06, 2011 10:51 am, edited 1 time in total. Good morning all, we received a letter back from 'The Courts' over the weekend. Just want peoples thought/input & help on our Reply/Notice/Affidavit. I will type the letter out in the next few minutes and upload it for viewing. All help & advice, as always - MUCH APPRECIATED! I have been asked by the magistrates dealing with the case to write to you in connection with your letter dated 18th November 2011 which was considered by them in detail when they considered the case. There we have it people, please advise as to our response. Full Post needs to be read as this is the latest development. HELP US FIGHT THESE BASTARDS! All of us @ Knowledge is Power - UK. pertaining to the legal name. Ayeee, many thanks for that Pitano1, will look into that before I finalise our NOTICE and sent it. I have got it to here so far, any input/thoughts and advice would be much appreciated. NOTICE OF UNDERSTANDING AND INTENT, 2ND NOTICE OF NAME CHANGE, NOTICE OF OBJECTION AND MOTION TO QUASH. To The Magistrates: Mrs Swinbank, Mrs Gittins & Mr Williams. Once again INCORRECT DOCUMENTATION: It is appalling that every single letter of harassment I receive from the applicant’s solicitor or the letters from the courts my Daughters name ******* is still spelt incorrect, especially after the last NOTICE I sent. Once again her surname has being changed by Deed Poll, her name is now ************ after her father, and my Partner Mark ****** who once again has had a positive involvement in mine and ****** life for 2 years now; we are building a positive future together and I will soon be giving birth to our second child in February 2012. My Partner, Anneliise-Marie and I are also moving into our own home together in these coming months. As previously stated, the applicant is NOT on the Birth Certificate, and he is NOT the Father of Anneliise-Marie June Storey and therefore has NO RIGHTS to her. MOTION TO QUASH. You have stated I have turned up to Court in the past, correct. Under duress and persuasion from Solicitors. I was on strong anti depressants at this time and my judgment was far from clear. Proof of this can be obtained from my Doctors. Since coming off the anti depressants completely in July 2011 my judgment, views and beliefs have changed substantially as I’m no longer under the influence of strong medication. Also I wasn’t heavily pregnant and I wasn’t aware of my rights at that time. You have also stated in the letter you sent that the court would look at the stage in the proceedings at which I began to protest paternity. Again, since coming off the anti depressants completely in July 2011, my judgment, views and beliefs have changed substantially, this and this only is the reason for my recent decisions. You have also stated that I have ‘refused’ to give DNA. I have not ‘refused’ anything. I do not ‘consent’ and that IS NOT a refusal. You have adjourned the case/final hearing once again and you ‘consider’ that the ‘best way’ to as early a conclusion as possible. I disagree, totally. Bringing the ongoing court proceedings forward is NOT reducing ‘stress levels’ as you state it’s actually increasing them, I should know. I’m 8months pregnant on the 20th December and have already stated on my previous NOTICE prior to the second ‘Final Hearing’ that I no longer wish for this case to proceed as the Applicant IS NOT the farther of Anneliise-Marie June Storey and he IS NOT on the Birth Certificate. I proceed with MOTION TO QUASH. Input, help and advise much appreciated freemen & freewomen! Thanks Enegiss!...Cheers guys, thanks for the input & advice. However, previously we have asked to 'dismiss' the case, as there are NO lawful grounds to continue. This time we are using the term 'Motion to Quash' as you can see...this is a lot more powerful a term, apparently. Last edited by knowledgeispower-uk on Thu Dec 08, 2011 9:33 am, edited 2 times in total. This Case has now been dropped. After sending our 'Second NOTICE' and addressing the Magistrates as 'Public Servants' and withdrawing ANY Consent & MOTION TO QUASH. Worked a treat, I can type out/scan the letter they sent back if people would like to see it. So there you have it Many Thanks to those that helped us along the way! 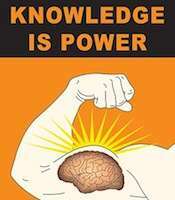 Mark @ Knowledge is Power - UK. Very well done. As i said many times before being FREE means contracting with your Adversarial parties BEFORE you go to court and taking responsibility. My affidavit "i swear this is all true etc"
i got a letter saying the case is dismissed its important to carry on to perfect your claim! NOTARY STAMP on 4 copies of this cost about £85 now this is a DEFAULT JUDGEMENT this is far more powerful than local court letter saying the case has been dropped. It prevents them trying to raise this issue again in the future.